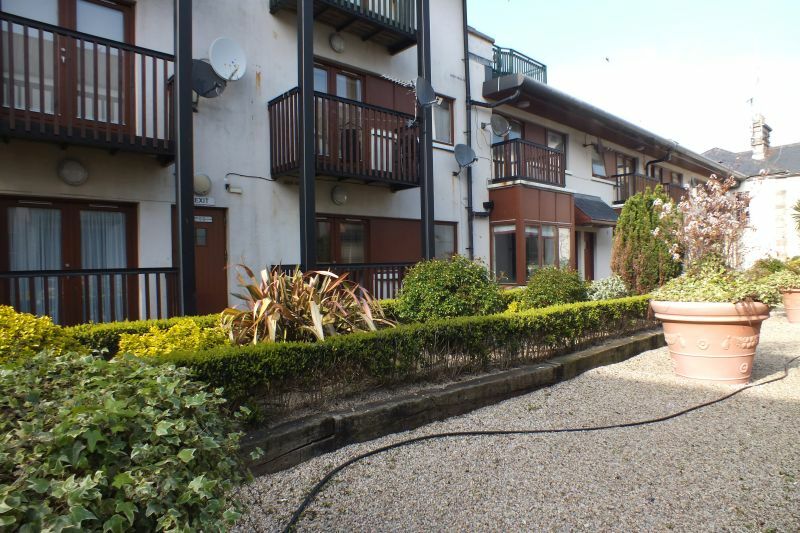 This is an excellent 2 bed first floor apartment located in Wexford town centre. 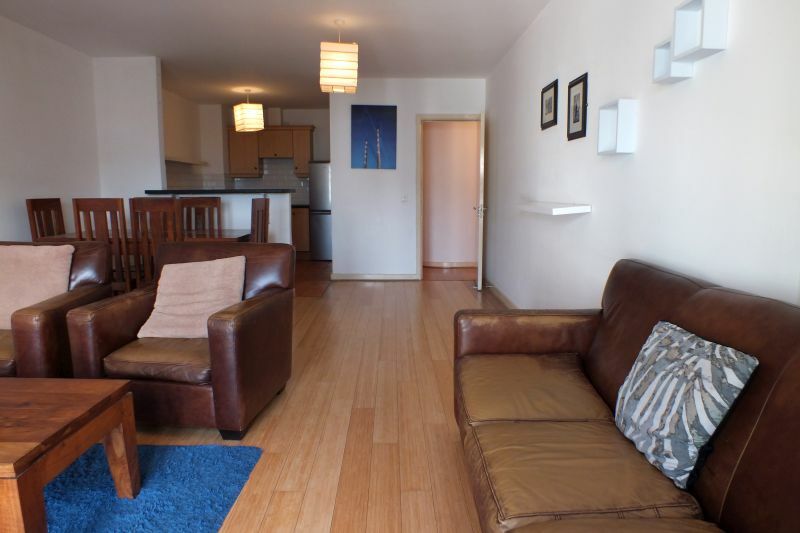 It is situated in a most convenient location at Key West, only a few minutes’ walk from Wexford’s North Main Street. All town amenities are close to hand. No. 14 Key West is presented in very good order and is offered for sale fully furnished. 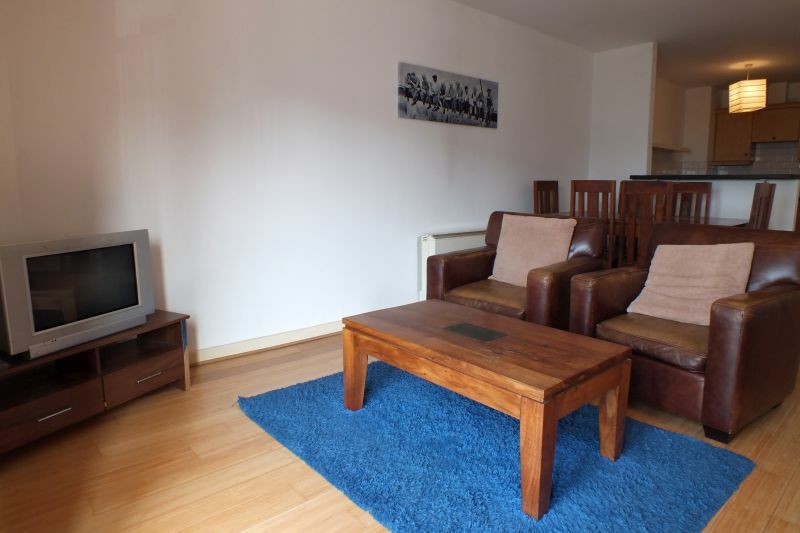 The accommodation is bright and spacious, with 2 bedrooms, both with fitted wardrobes. To the rear there is an enclosed patio area via the French doors on the master bedroom. Overall the property is ready for immediate occupation. 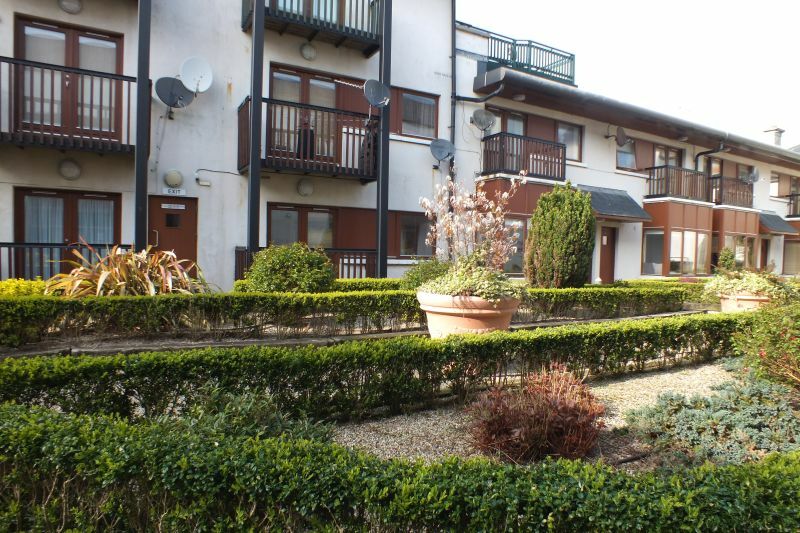 It is adjacent to Wexford’s Quay Front and a host of amenities are literally on your doorstep. It is an ideal property to purchase as an owner occupier or investor. 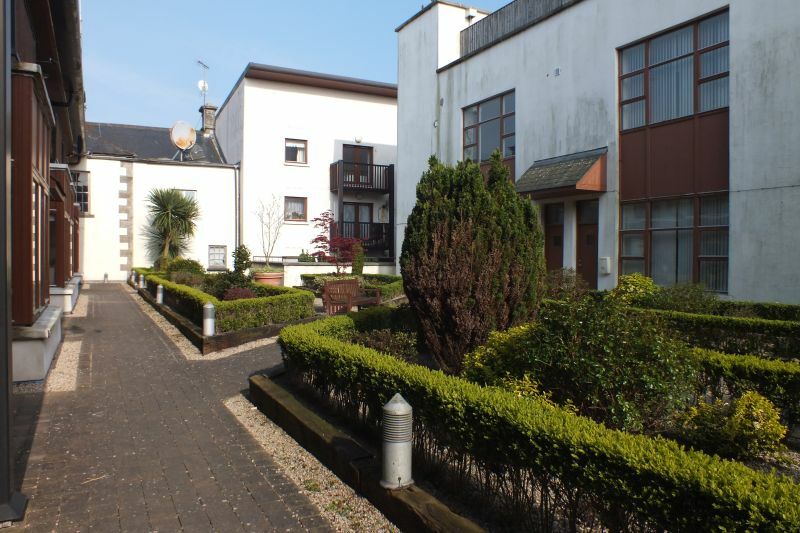 To arrange a suitable viewing time contact the sole selling agents, Wexford Estate Agents, Kehoe & Assoc. at 053 9144393. Entrance Hallway 4.23m x 1.00m With timber floor covering. 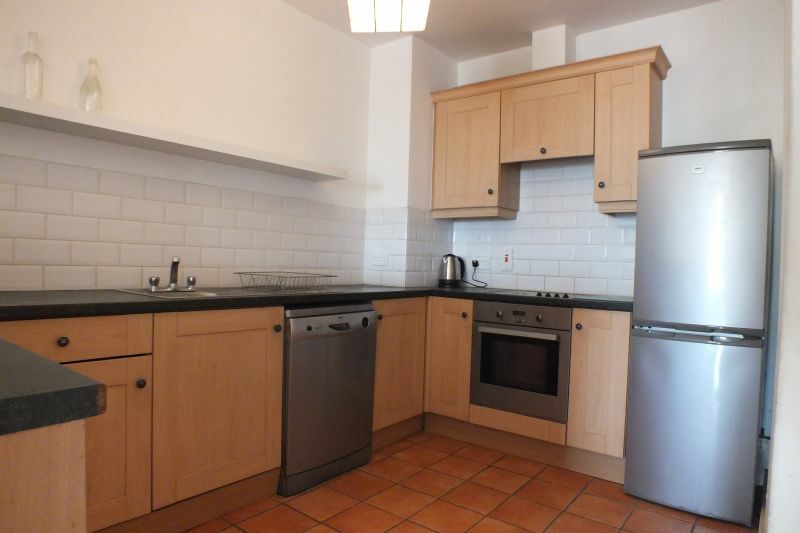 Fitted wall and floor units, stainless steel sink unit, integrated oven, hob & extractor fan. 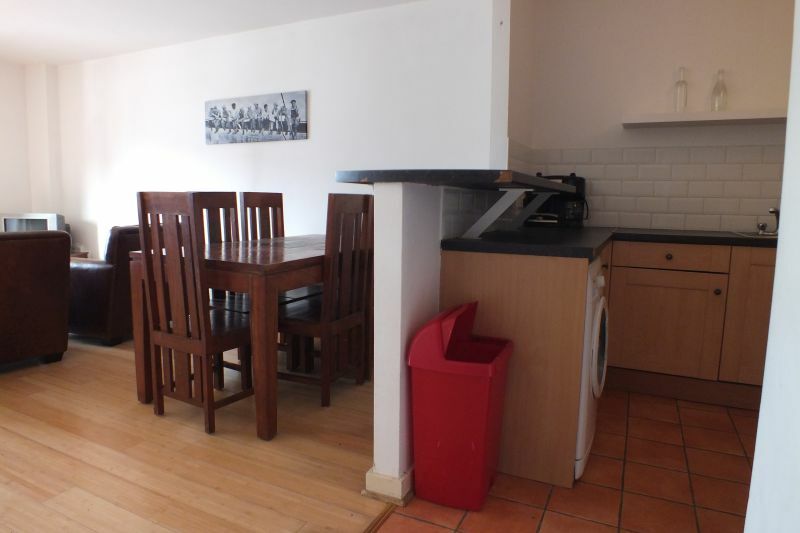 Kitchen appliance included; dishwasher, washing machine and fridge freezer. Tiled floor and splashback. 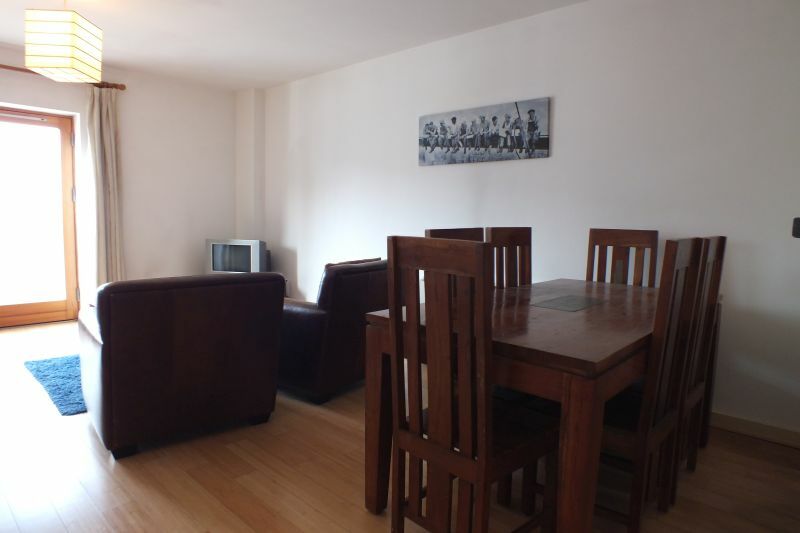 Open plan with timber floor covering, French Doors to front. Rear Hallway 4.55m x 1.01m With walk-in hotpress. Family Bathroom 3.32m x 1.54m With w.c., w.h.b., bath – shower connection above. Tiled floor, splashback and surround. 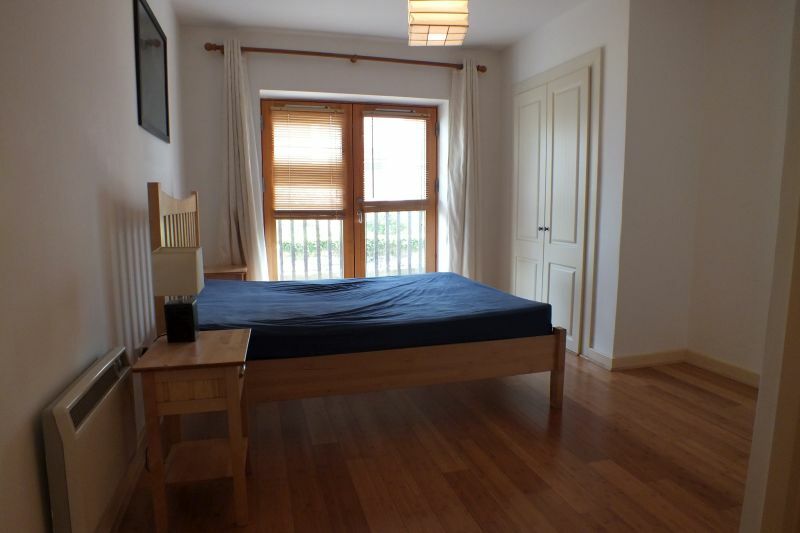 Master Bedroom 5.46m x 3.55m With timber floor covering, built-in wardrobe and door to enclosed outside area. 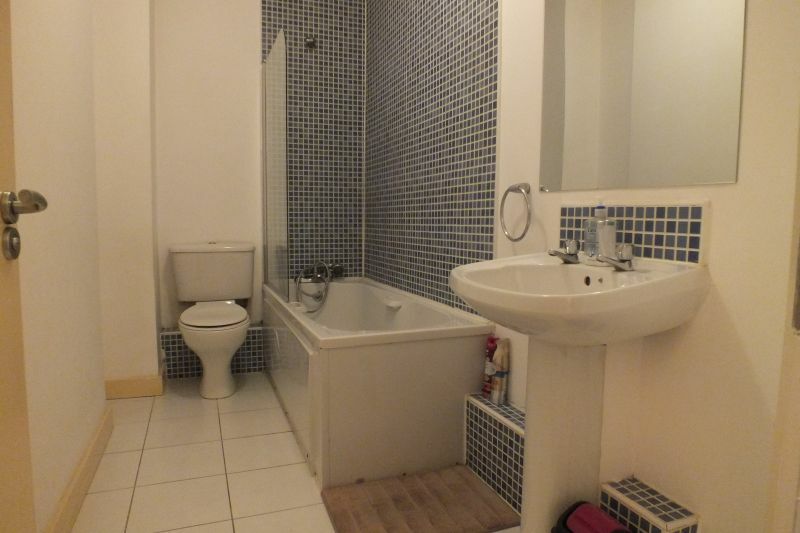 En-suite 2.41m x 1.74m With w.c., w.h.b., shower stall with Trition shower. 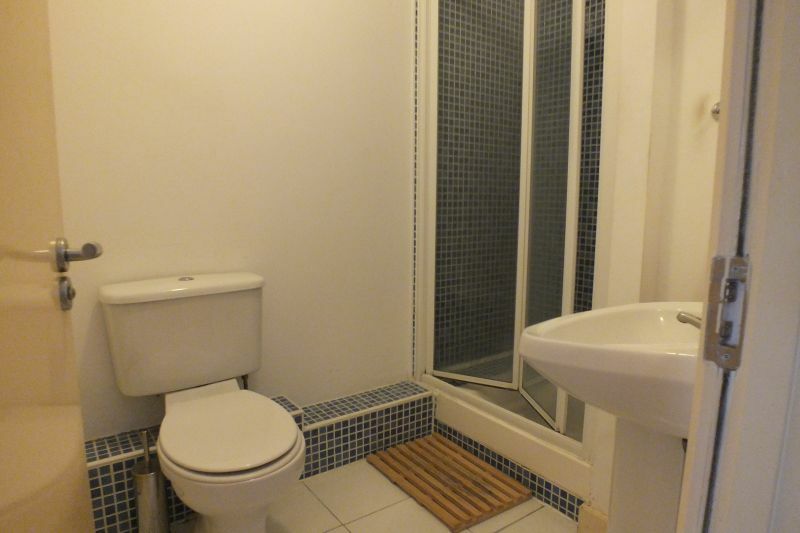 Tiled floor, splashback and shower stall. Bedroom 2 4.54m x 2.73m (max) With built-in wardrobe. Enclosed patio area off master bedroom. PLEASE NOTE: The Management Company annual Fees: We understand the Management Company fee for 2019 is €1,876. In Wexford town proceed to the Key West development (adjacent to AIB and SuperValu). 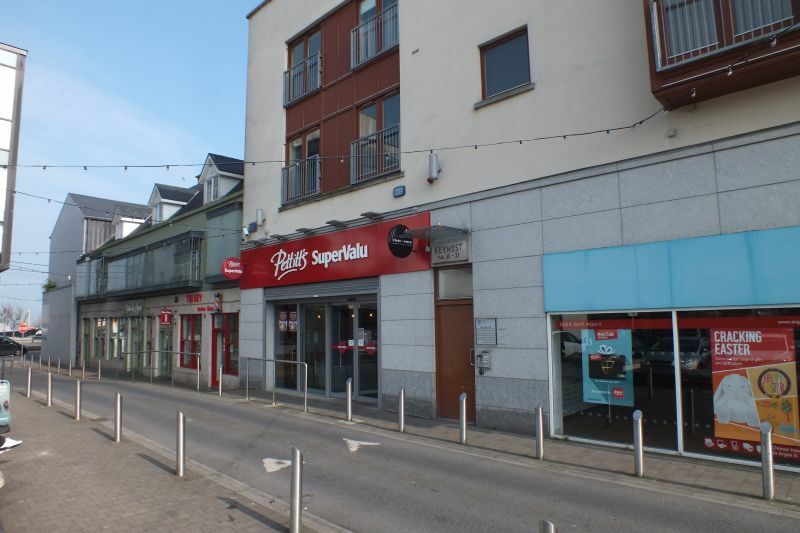 The property for sale is directly above the Pettitts SuperValu entrance. 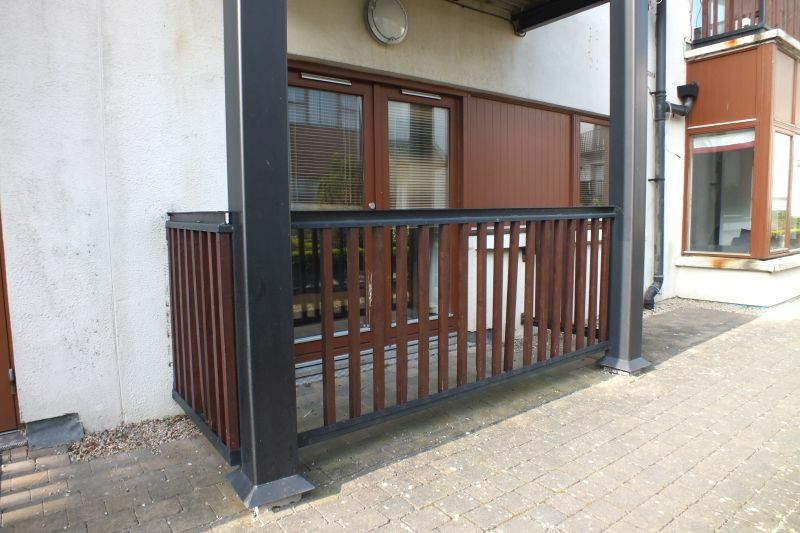 Situated in Wexford Town centre. 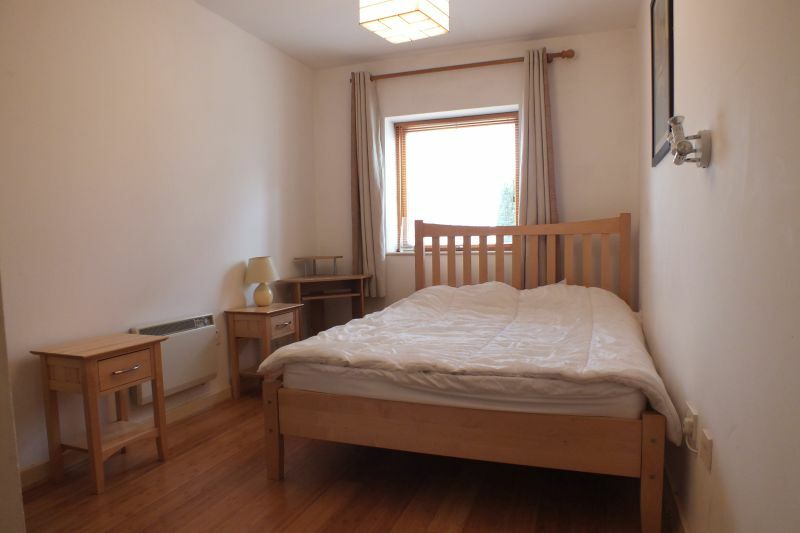 Property presented in good condition.